Home » Resources » Help, my teenager has severe acne! Help, my teenager has severe acne! My 15-year-old daughter has acne, which is getting worse by the day. She has been trying natural treatments such as sandal paste and a gram flour mix. Is it time to see a dermatologist? – Rashmi Guha, BengaluruAcne (pimples) is a common skin ailment in adolescence, which teens outgrow as they complete their teenage years. 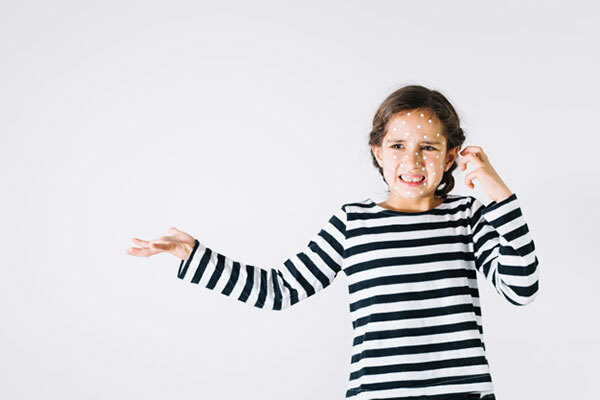 Acne and scar formation may affect adolescents self-image and make them very self-conscious. Thus, it is important to address it early and to reassure teens that it is only a transient condition that can be managed. Note that your daughter should wash her face once or twice a day — frequent washing will dry the skin. Consult a dermatologist who will be able to assess the severity of acne and suggest treatment options. Most acne medication can help to keep pimples under control. There is a drug for complete resolution of acne, but it is usually used only in severe conditions and requires monitoring with blood tests. Moderate or mild acne require gentle drugs, so dont let her self-medicate without consulting a dermatologist. It is important to treat acne to prevent scarring. However, even after treatment, it is often necessary to continue maintenance care until the acne resolves. Besan and sandal paste are helpful treatments. Eating whole fruits is a better option than juices. Most packaged juices contain added sugar which contributes to unhealthy calories. Thus, although drinking a good amount of fluids per day is beneficial, its better to consume more water and fruit juice occasionally. If his teeth are getting discoloured also observe his brushing technique. It is good that he brushes twice a day. Careful brushing at night is important to prevent caries. Testing for allergies usually requires blood and skin prick tests. The blood test assesses immunoglobulin levels (that rise in most allergies). The skin test involves inserting a small quantity of different allergens under the skin and comparing the allergic reaction with standard controls. This skin test needs to be done at a super-speciality diagnostic centre, and your doctor will give you suggestions on where to get it done. Interpretation of results will depend not just on the test results but also the childs medical history.